I usually keep my life and personal details out of my blog posts. However, the story of Dr. Arnold Kelly and electrostatic dispersal (ESD) technology is a fascinating one. 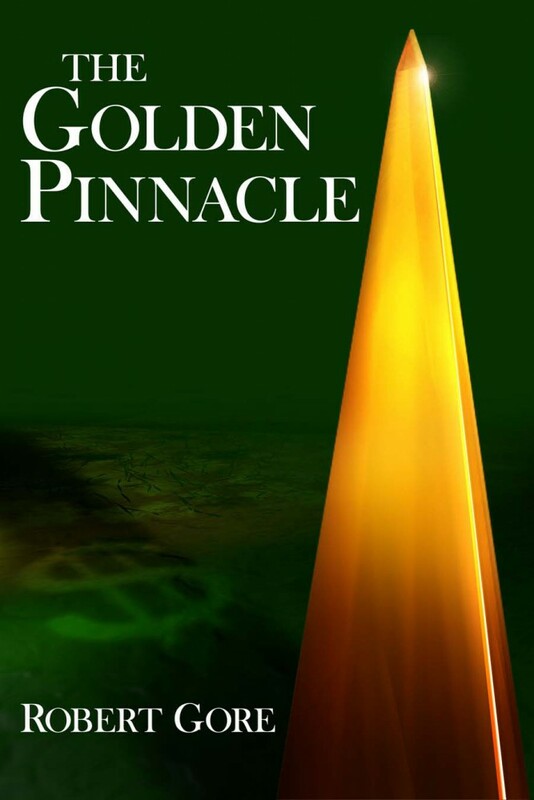 It also reveals much of what is wrong with today’s world and crystallizes the economic, political, and philosophical issues underlying humanity’s most critical choices: achievement or destruction, life or death. This article is longer (three parts) than the usual SLL article and is somewhat of a departure, but I believe those who read it will find it enlightening and rewarding. I found writing it more interesting than another grind through the issues that currently serve as grist for the blogosphere. 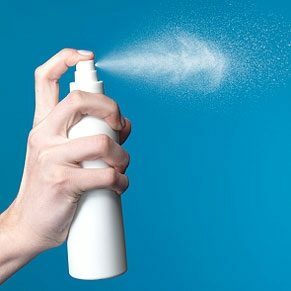 Most of the ingredients in a spray can of pesticide, sunscreen, or antiperspirant are water, various propellants, and chemicals that make the spray stick to the target.There is surprisingly little of the active ingredient that actually kills bugs, protects skin from the sun, or stops sweat. When the aerosols are sprayed, some hits the target, some drifts through the air, and the applicator or bystanders may inhale some of it. If an electrical charge is put on each of the sprayed particles, their behavior is no longer subject to random air currents and aerosol drift. Instead, the spray is governed by the quantum mechanics of electrostatic dispersal (ESD). Droplet size and distribution are controlled by imparted electrical charges and surface electron physics, not conventional fluid dynamics. The like-charged particles repel and speed away from each other under tremendous force. This force, the second strongest in nature, is known as Coulomb repulsion, after the scientist who first described it mathematically (Coulomb’s Law) in 1785. The charged particles go to ground, the target surface. Dr. Arnold Kelly has invented and patented a sprayer that charge-injects individual droplets in a spray, using a low-energy delivery system. Because of Coulomb repulsion and ESD, a spray passing through Dr. Kelly’s sprayer, called the Spray Triode Atomizer (STA), requires minimal pressurization and the chemical propellants and water are unnecessary. All the STA requires is the active ingredient, which seeks and clings to the target surface and spreads evenly over it, even if the surface is irregular. Little is lost to aerosol drift. In one mind-blowing demonstration, the STA sprays both the front and back of a person’s hand with baby oil without shifting the position of either the STA or the hand. My hand has been so coated in Dr. Kelly’s lab. Dr. Kelly is literally a rocket scientist. He received his PhD in mechanical engineering with a minor in jet propulsion from the California Institute of Technology, and has worked for North American-Rockwell’s Rocketdyne Division, the Jet Propulsion Laboratory, and Exxon (now ExxonMobil). At Rocketdyne, he was a member of the team that designed the booster rocket for the Saturn V rocket. He got the idea for the STA from the design of a rocket engine. Dr. Kelly has a long association with the Princeton Aerospace and Mechanical Sciences Department, where he was a Senior Research Scholar with a rank of full professor and manager of the Electric Propulsion Laboratory before retiring in 1994. Perhaps the foremost authority in the world on ESD, he has over 30 patents and has authored or co-authored over 100 published articles. Dr. Kelly is a member of a variety of professional organizations, and has served on a number of technical committees. He has researched ESD and developed, tested, and refined the STA for approximately 40 years. The STA presents obvious advantages over conventional spraying: elimination of unnecessary ingredients, many of which are toxic pollutants; much less drift, waste, and overspray; a significant reduction in the risk of applicator and bystander inhalation, and more thorough and even coating, especially for irregular surfaces. It promises economic and ecological benefits in personal care, industrial, and agricultural spraying applications. However, those benefits represent only part of its potential. Charge-injecting particles makes combustible fluids more combustible. The STA can control the range and mixing distribution of individual particle sizes. Charged, smaller particles are more combustible. Using an STA instead of a conventional fuel injector in a diesel engine could increase the proportion of diesel fuel burned, improving the engine’s efficiency and reducing its particulate waste. Similarly, an STA would eliminate the necessity of high-pressure containers of butane or propane—fossil fuels—for camp stoves or lights. They could use biodiesel or vegetable oils that are not currently usable. ESD opens up myriad technological possibilities beyond the STA. There are applications in separation processes, e.g., separating waste from oil to clean the oil and extend its useful life. Currently under investigation are applications in drug administration and nanofiber production. It’s a reasonable bet that more applications will be discovered for both the STA and ESD. The name fouRy comes from the physics of Dr. Kelly’s sprayer. A Rydberg unit is the energy necessary to ionize a hydrogen atom: 13.6 electron volts. The charge the sprayer imparts on an individual particle is 54.4 electron volts—a hefty amount of energy to put on a particle—or exactly four Rydberg units. The company’s name is a contraction of four and Rydberg: fouRy, or 4Ry. It is a Delaware limited liability company. 4Ry was formed earlier this year and is the vehicle for commercializing Dr. Kelly’s technologies. David Bird, an MBA, engineer, and my friend since childhood, is the CEO, with responsibility for commercialization. Dr. Kelly improves, extends, and refines ESD technologies and adapts them for various applications. My responsibilities are somewhat ad hoc. Among other accomplishments I’ve filed the trademark application and designed the admittedly rudimentary website (4rysprays.com). Dr. Kelly collaborated with Bird after repeated failures to interest companies in his technologies. One would think that in a world preoccupied with academic credentials, Dr. Kelly’s would be sufficient to open the right corporate doors, but that was not the case. Many times he met with people who lacked the technical expertise necessary to evaluate either the technology or its potential. Then there’s the problem of taking a better mouse trap to existing mouse trap makers. Undoubtedly some of those who rejected Dr. Kelly recognized the potential, but realized implementation would require extensive changes in corporate processes and procedures. However, at the initial stage, Dr. Kelly wasn’t asking anyone to institute such changes, only to take a close look at a promising technology. A lesson from Dr. Kelly’s early failures: corporations are filled with seat warmers who are practiced in the arts of corporate politics, but who are unwilling to take risks. Many of these same people, however, can give a rousing speech about thinking outside the box. Dr. Kelly acknowledges he was not entirely blameless. David Bird and I grew up in Los Alamos, which has its share of geniuses. Let me tell you something about geniuses, they are different from you and me. Egalitarian emissions, fatuous fables, and the self-proclaimed, overhyped variety aside, real geniuses don’t have much company on their end of the bell curve. Cream-of-the-crop engineers and physicists are most comfortable talking with their own. Some conversations with Dr. Kelly have left me dazed and confused. Presumably he had the same effect on the MBAs, lawyers, and accountants who populate the executive ranks of many companies. Fortunately, he has always been patient with my questions, including the ones he undoubtedly found tedious. Many of the corporate types didn’t ask questions. Never underestimate the power of a question. This entry was posted in Business, Capitalism, Intelligence, Science, Technology and tagged Dr. Arnold Kelly, Innovation, Invention. Bookmark the permalink. Sounds rather like a real-life Rearden Metal. Let’s hope the more unpleasant elements of that particular story don’t play out in reality. I’m looking forward to parts 2 and 3.
hard, invisible company wall of NIH. Next stop? China steals it. Fascinating, as are all subsequent applications that arise from the unlocking of Nature’s secrets! I have come to enjoy the injection of your work with Neuron-volt flashes of “verisimilitude.” Risk averse pomposities fashioning finely-crafted speeches about thinking outside the box indeed! First up: I am NOT uninformed in this area. Geniuses are intimidating to us regular folks. As a long serving Business Development Manager within the chemical industry I can absolutely assure you that what you need is a true ‘sales’ approach to marketing the product and technology. I have seen brilliant scientists and engineers flounder terribly trying to promote their technologies because they don’t know how to ‘sell’. It’s not pretty to watch. Example: If you went to a stock broker and he launched some arcane description of what he does……you glaze over. On the other hand, if he says something like, ‘ Sir, my average returns on portfolio management year over year are at least 7%. Would you like to hear more about our funds?’ You perk right up. Based on the comments made about not getting questions and such, the sales approach is lacking, big time. Dr. Kelly realized he was no salesman and the wisdom of your words. Since he’s brought on David Bird, a sales approach has been implemented. 4Ry is in the door with a number of companies, who are testing the sprayer and working with 4Ry to adapt it to their needs. More in part 2. Is there a way to invest in 4Ry or not yet? A qualified yes. The 4Ry website (4rysprays.com) has David Bird’s (the CEO) contact information. If you are interested in investing, please contact him and reference this article on SLL. WOW – just sent email to Mr. Bird. Sounds like there is a ton of potential. Looking forward to Part 2.